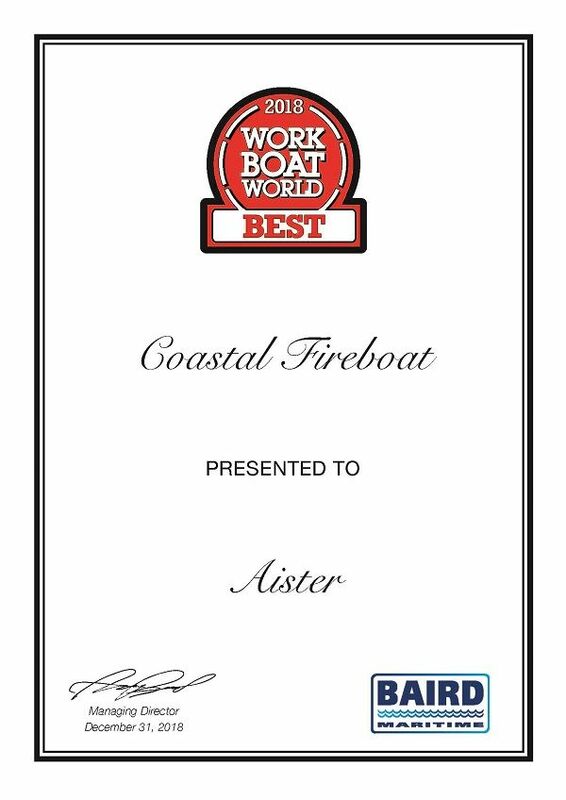 The Australian-based, but worldwide read, magazine Work Boat World, has for first-time designated AISTER Aluminium Shipyard the builder of the best coastal fireboat of the year 2018. 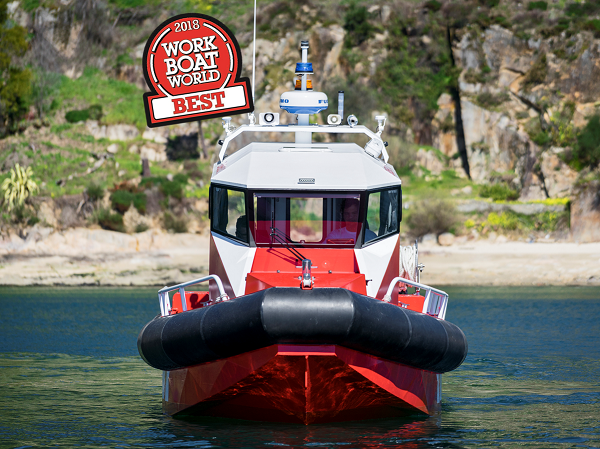 The decision is based on the fact that the SPEIS II is very versatile because the Shipowner wanted an aluminium boat for fire-fighting, SAR and diving issues. 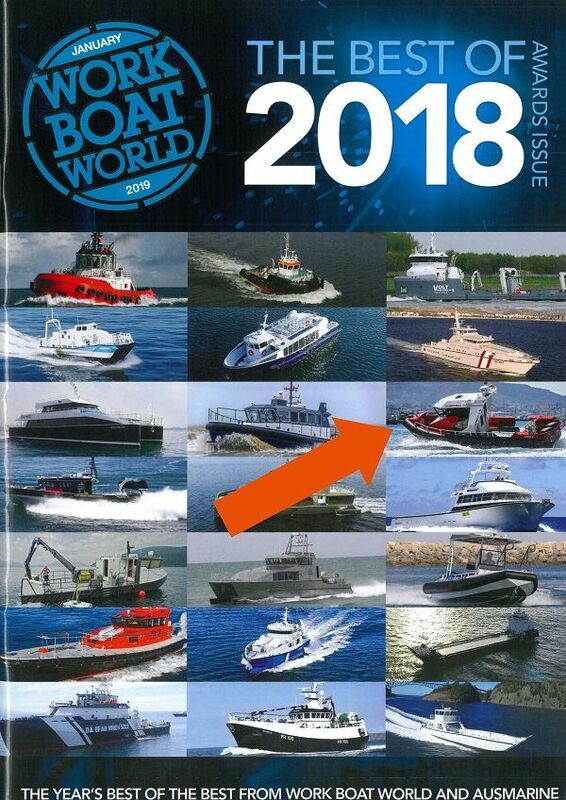 The result as defined by the magazine is ‘an impressive, interesting and innovative, small, multi-role fireboat, SPEIS II benefits from very original, practical and clear design thinking’. 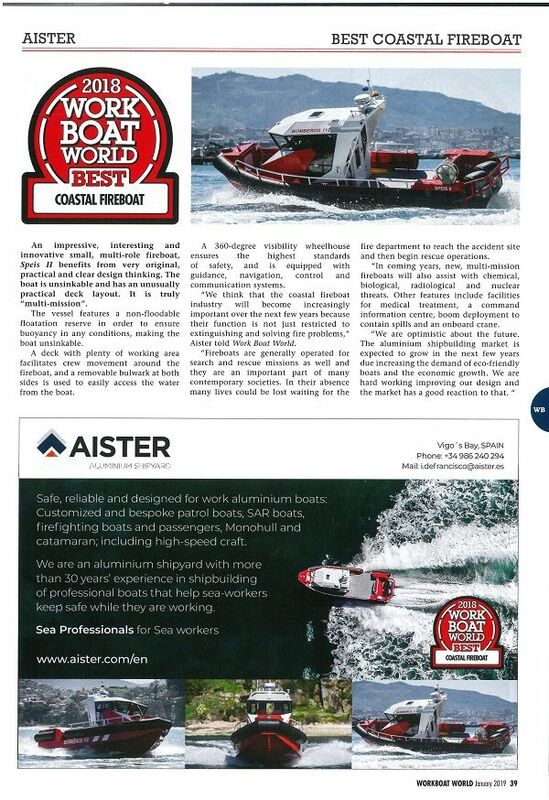 It also went on to point out that the coastal fireboat some characteristics that make it the winner of the award: The vessel has a non-floodable floatation reserve in order to ensure buoyancy in any conditions, making the boat unsinkable, a deck with plenty of working area facilitates crew movement around the fireboat, a removable bulwark at both sides and a 360-degree visibility wheelhouse that ensures the highest standards of safety. Judging criteria included looking at each builder’s approach to innovation, styling, finish and build quality together with feedback from the clients and an assessment of overall market trends. In this respect, we expect that the coastal fireboat industry will become increasingly important over the next few years because their function is not just restricted to extinguishing and solving fire problems since the coastal fireboats are used for search and rescue operations or diving missions. We are delighted and proud to have been awarded this prestigious prize and we are optimistic about the future. The aluminium shipbuilding market is expected to grow in the next few years and we are hard working improving our designs and our customers have a good reaction to that.